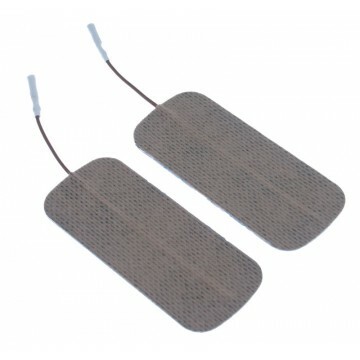 E-Stim Self Adhesive Long Electro Pads. They are a longer version of the electro pad surface electrodes for e-stim skin play. Self-adhesive and will stick to the skin for multiple uses if used with care and returned to the backing sheet after use. Imperial 3 1/2 x 1 1/2"